Ecology Recycling and Transportation Services is proud to form part of the network of certified recycling centers in California that can receive CRV items. We strongly believe that this service, and others, are an important part of taking greater care of the environment and using our natural resources wisely. Through our various centers in the Southern California, we serve a large geographical area, making CRV drop-off easy and convenient for area residents. Each of our centers offer a user-friendly, streamlined process so that you can drop off your CRV items, get your compensation and move on with your busy schedule. CRV stands for California Refund Value. It actually refers to a regulation effective in the State of California that was passed to encourage residents to recycle certain items. CRV ensures that consumers are paid for recycling these items. Among these items are: soda, beer and juice cans, vegetable juice cans, wine and beer bottles, etc. The packaging of these items are typically made of aluminum, glass, or plastic. When you purchase these items, the price for the packaging is typically included in the cost. By recycling items, you can regain this money. Most certified recycling centers in California accept CRV items. The compensation depends on how many items you bring in. Usually if you bring in a small amount, say under 50 items, you’ll be paid per item. For larger amounts, you’ll be paid by weight. However, no matter how much you turn in, by recycling, you’re playing an important role in preserving the future of the planet. 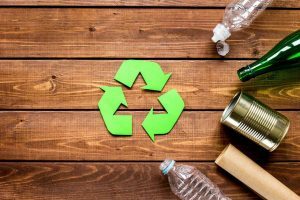 You’re probably aware that recycling is good for the environment, but you may not know exactly why. Through regular recycling, you can have a positive impact on the planet. Placing recyclable items in the trash often causes pollution and excessive waste. Trash is taken to landfills or incinerators where these items are either buried or burned. Some CRV items take hundreds of years to degrade naturally and may leech harmful chemicals into the ground. In addition, not recycling means that in order to produce more of the same CRV packaging items, new materials must be obtained, often through mining. This activity often has negative environmental impacts. The bottom line? Toxic waste and gases are reduced when you recycle. This helps protect water sources and keep the air clean. In addition, recycling pays! When turned in in bulk, CRV materials can provide excellent compensations. 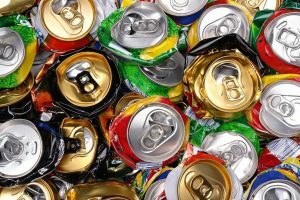 Did you know that every year Americans discard $1 billion worth of aluminum cans? Aluminum in particular is a very recyclable material that has a great impact on the environment. The energy saved from one aluminum can is enough to listen to a full album on an ipod. In America, 2.5 million plastic bottles are used every hour, and only about 27% of them get recycled. Recycling these plastic bottles can have a big impact. 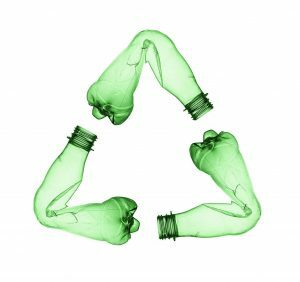 One ton of recycled plastic saves the equivalent of over 1,000 gallons of gasoline. 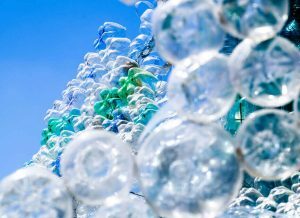 Glass can be recycled forever without losing quality. 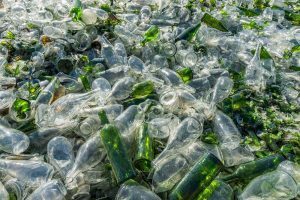 Up to 95% of recycled glass can be used instead of raw materials when creating new packaging or products. When using recycled glass, the energy needed from the incinerator is diminished, which means that costs and environmental impacts are lowered. 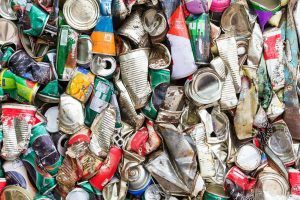 Recycling can be easy if you follow a few simple steps. Designate a recycling bin. You can use an old cardboard box, plastic bin or other container, anything works. As you use CRV items, rinse them out and allow them to dry. Place them in your bin, clean and dry. When your bin is full, take your CRV items to one of our recycling centers where CRV items are accepted. 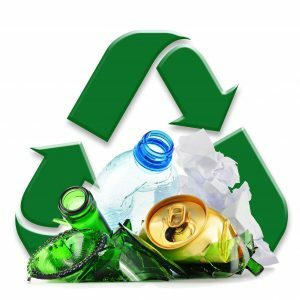 Ecology works to make recycling easy for both individual residents and businesses in our service area. At our five CRV recycling centers, you’ll find user-friendly set-ups that makes recycling and getting your compensation easy. In order to assist our industrial, business and corporate clients who recycle large quantities of CRV items, we provide roll-off bins, delivered directly to your property. Let us know what size is appropriate for your needs and we’ll deliver it to you. Then, when your bin is full, we’ll pick it up, haul off your CRV items and replace your bin with a new one. Contact us to discuss your needs. Start Recycling Your CRV Items Today! If you’re a concerned citizen without a recycling service readily available in your town or workplace, mobilize. You can easily create a recycling group where neighbors and colleagues pull together to take turns dropping off CRV items. Also, remember that we can provide bins to make recycling easier for you. Have questions? Contact Ecology with any of your questions and concerns and we’ll be happy to help.